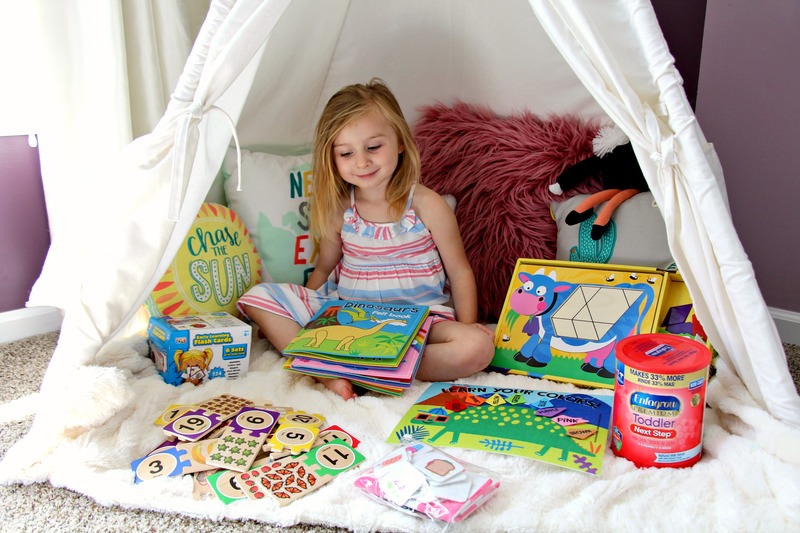 Posted on June 6, 2018 August 20, 2018 by Heather W.
Busy books are one of my daughter’s favorite quiet activities. Whether you make them on your own or purchase at the store, these are a great way to encourage your child to problem solve. 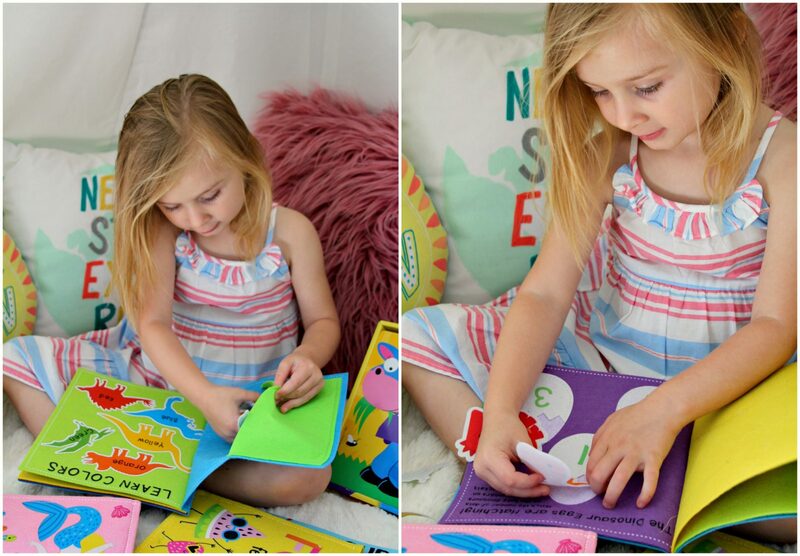 The three books she favors the most challenge her to match shapes, pair numbers, create their own scenes and more! 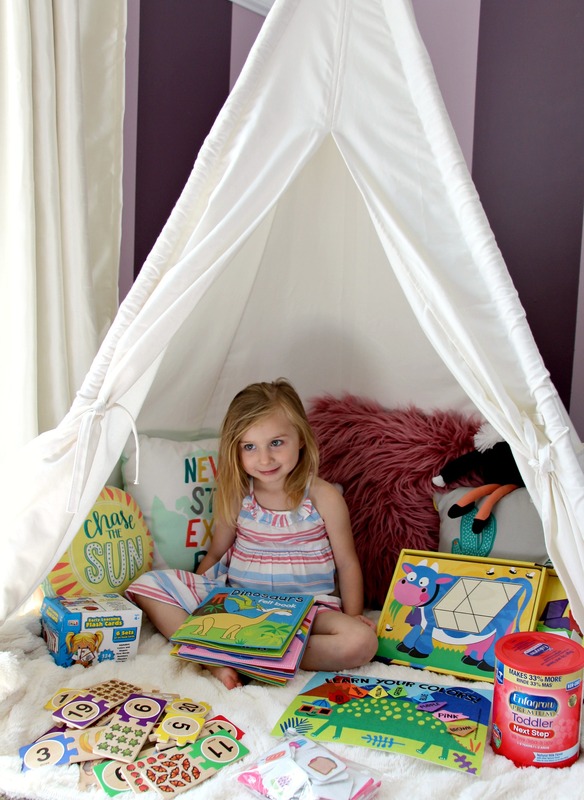 Felt products are our new favorite thing and we have found a few that encourages your child to match colors and match numbers (not pictured). 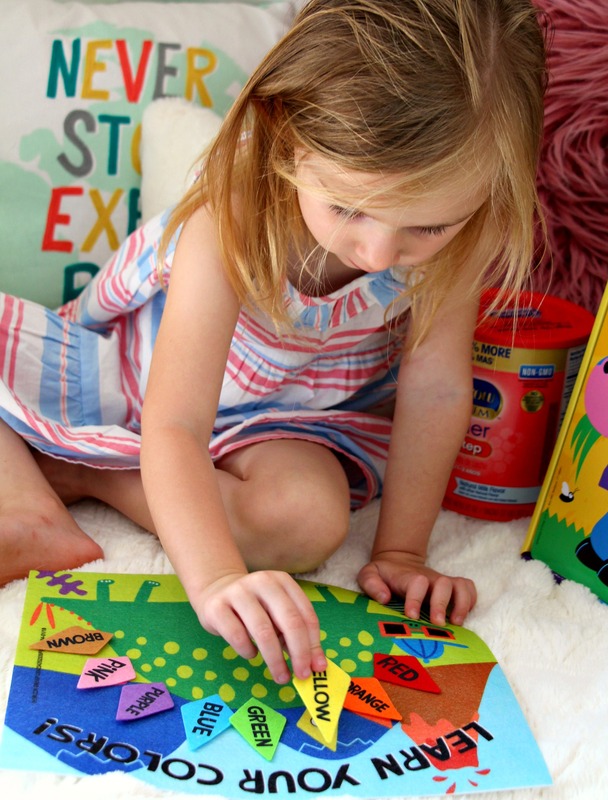 The reason why I love these felt boards and busy books so much is that they help your child improve their small motor skills, coordination, problem solving, sensory and most importantly… it helps fosters creativity! 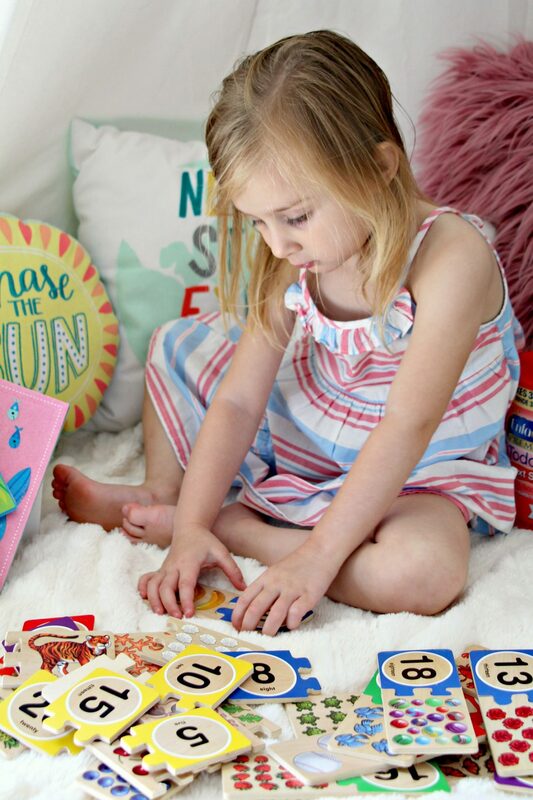 You may notice by now that these games are starting to look the same and that’s because my three-year-old is at an age where learning colors, numbers and shapes is her biggest milestone. We discovered a great puzzle type game where she must match a number with its partner. This one is great because she has to actually count and figure out how many items are on the puzzle. 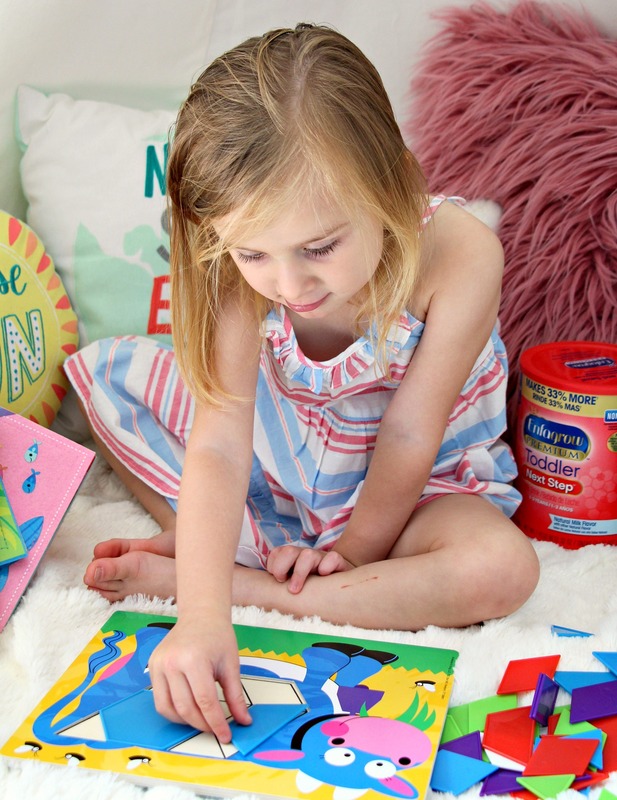 Tangram puzzles are my absolute favorite and fun for children of all ages! There are SO MANY benefits to playing with tangrams. They help your child to develop problem-solving skills, logical thinking skills, perceptual reasoning (nonverbal thinking skills), visual-spatial awareness, creativity and many mathematical concepts such as congruency, symmetry, area, perimeter, and geometry. Memory is always a very popular game at our house and I swear my daughter could play this all day long! 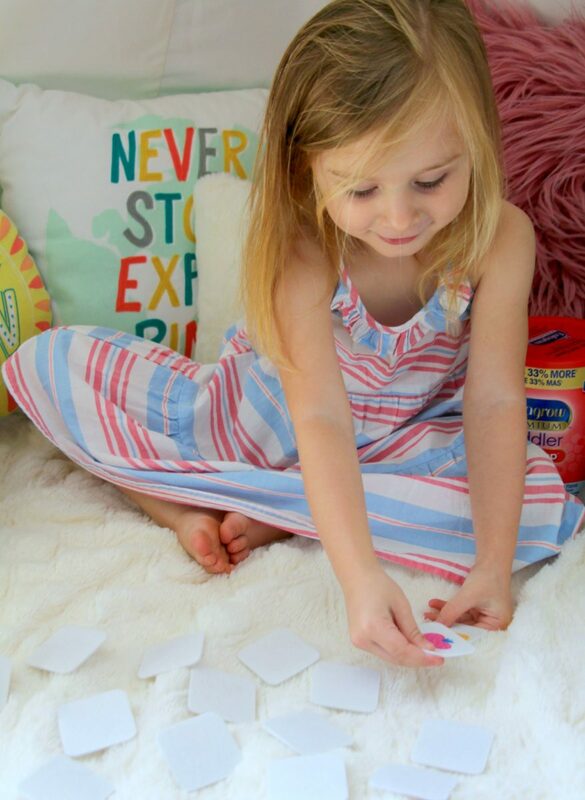 This simple game that you could easily create at home with some note cards helps to improve concentration, train visual memory, improve vocabulary, increase short term memory, increase attention to detail, improve the ability to find similarities and differences in objects and help to classify objects that are grouped by similar traits. Did you know that 85% of your child’s brain growth happens in the first three years of their life? 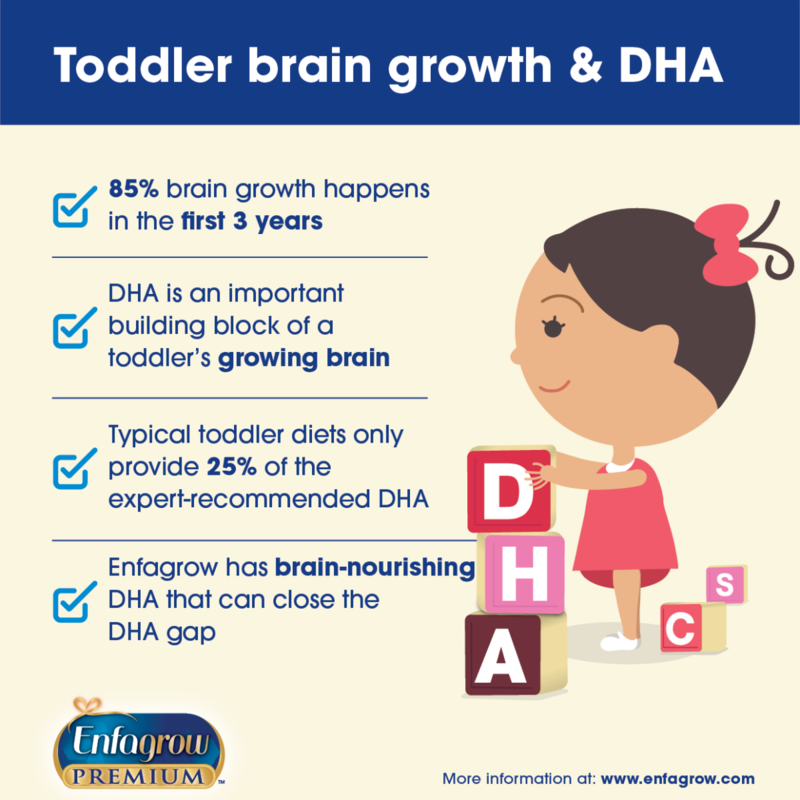 That is why it is so important to ensure that your toddler is getting DHA to help nourish their brain growth! DHA is an important building block of the growing brain and experts recommend that toddlers have 70-100 mg a day of DHA to support early brain and eye development. Unfortunately, a toddler’s diet (on average) only provides 25% of the recommended amount of DHA. That is where Enfagrow® Toddler Next Step™ helps to fill this nutrition gap! 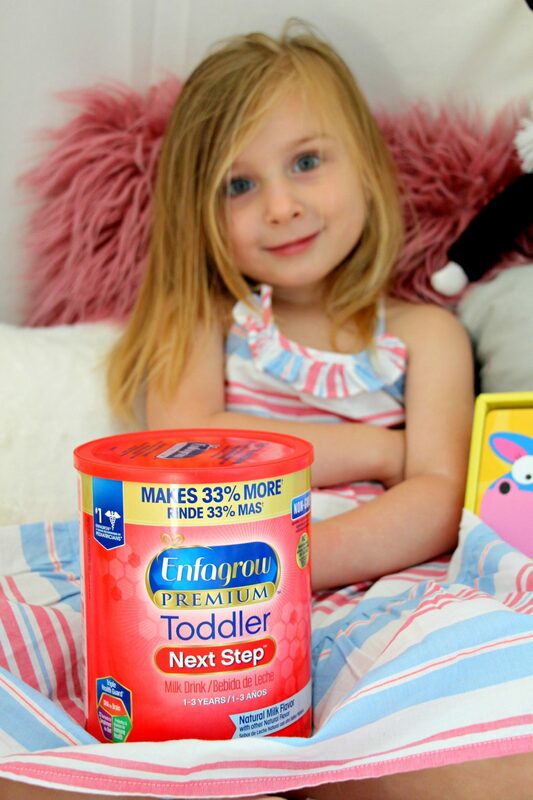 Enfagrow Toddler is a milk-based toddler drink tailored for toddlers 1-3 years that has DHA and has prebiotics designed to help support their immune system. 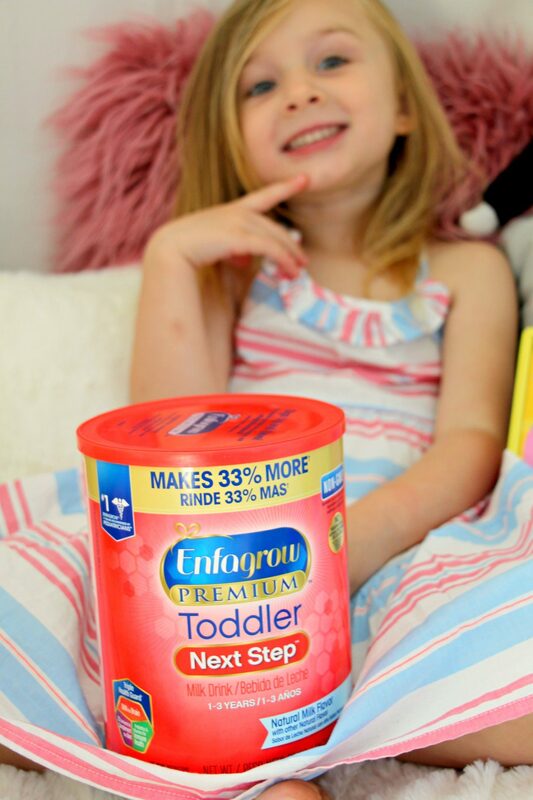 Enfagrow Toddler is a great alternative to sugary drinks and is available in a 32 fl oz. liquid bottle and 32 oz. powder can (as pictured above). Make sure to stop by the Enfagrow website to learn more and request free sample so your child can try it too! ← Can You Make Healthy Food Taste Good?